Welcome to the official C3 Rowlett mobile app. 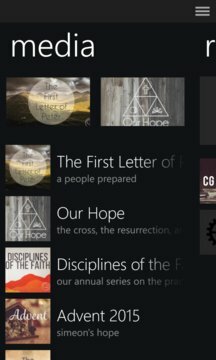 The C3 Rowlett app connects you to a variety of resources including sermons, small group curriculum, family devotionals, and allows you to connect with our church like never before. - Hear weekly sermons and teaching from our Sunday services. 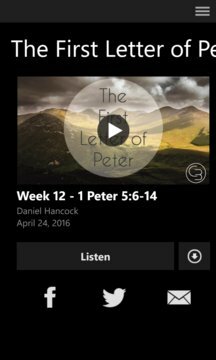 - Find and read the weekly small group discussion guide right from your device. - Access the family devotionals produced by our children's ministry. - Read the ESV translation of God's Word on your device and follow a provided yearly reading plan. - Receive up-to-date news and notifications from the church. - Fill out a Connection Card to let us know who you are. Get directions to our church, find us on Facebook and Twitter, give online, and so much more.